I'm thrilled to introduce you to the amazing Signature Primary Care & Wellness Team. This is a fun, innovative, healing community space with a variety of healthcare professionals dedicated to helping people live their best lives. Primary care with a board certified family medicine physician is the pillar of total health, but we believe embracing a total wellness approach is key. For that reason, we have gathered a team of services in one place to support your needs...primary medical care, emotional health counseling, health coaching, nutritional counseling, yoga and group fitness instruction, group visits and workshops. Our offerings are continually evolving to meet your needs, so stay in touch for the latest services. Explore this website, including specific information about our independent healthcare professionals, feel free to reach out to us with any questions and JOIN US today! We look forward to partnering with you at Signature Primary Care and Wellness! Dr. Paige Gutheil (Dr. Paige to most!) 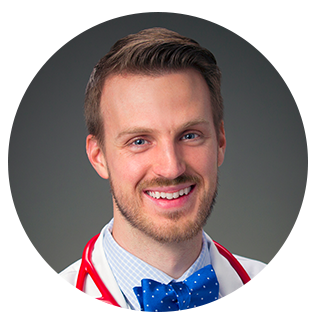 is an osteopathic family medicine physician born and raised in central Ohio. She believes that effective, comprehensive primary care starts with a close partnership based on mutual trust and respect. Dr. Paige created this innovative collaborative care model to be able to provide total care - mind, body, spirit - to the community she serves. Dr. Sammon, an osteopathic family physician, is trained in traditional medicine with a holistic approach to the body. He provides comprehensive primary care services to all ages, including osteopathic manipulative treatments. He enjoys educating patients on their health and engaging them to get back on track with chronic conditions. Kevin is a licensed family therapist and life coach with a calling to help people uncover their true potential and live their best lives. He enjoys helping everyone from those feeling a "little stuck" to those struggling with intense emotional difficulties and life transitions. He is known for his innovative teachings in both individual and group settings to help people reach their true potential. Discounted rate available for Signature Primary Care Members. Kelli is a registered nurse, a certified health coach and yoga instructor. Her passion is to help others become the best version of themselves through nutritional counseling, health coaching and yoga classes. Kelli’s goal is to introduce yoga to as many people as possible! She was initially reluctant to try yoga, but after experiencing back pain 10 years ago she decided to give it a try. In a short time, she knew that it was much more than a physical practice and was hooked!